The first edition of W. B. Yeats's The Tower appeared in bookstores in London on Valentine's Day, 1928. His English publisher printed just 2,000 copies of this slender volume of twenty-one poems, priced at six shillings. The book was immediately embraced by book buyers and critics alike, and it quickly became a bestseller. Subsequent versions of the volume made various changes throughout, but this Scribner facsimile edition reproduces exactly that seminal first edition as it reached its earliest audience in 1928, adding an introduction and notes by esteemed Yeats scholar Richard J. Finneran. Written between 1912 and 1927, these poems ("Sailing to Byzantium," "Leda and the Swan," and "Among School Children" among them) are today considered some of the best and most famous in the entire Yeats canon. As Virginia Woolf declared in her unsigned review of this collection, "Mr. Yeats has never written more exactly and more passionately." A last-minute shopper entering a London bookstore on Valentine's Day in 1928 with six shillings to spend on a gift for his or her beloved could hardly have made a better investment -- either poetically or financially -- than one of the 2,000 copies of a volume Macmillan &amp; Co. had published that morning: The Tower by W. B. Yeats. Twenty-one poems in 104 pages; six pages of notes; olive green cloth with a design by T. Sturge Moore stamped in gold on front and spine, also reproduced on the dust jacket. No illustrations, no book club dividends: simply one of the seminal volumes of Modern Poetry, indeed of poetry in English as we know it. Doubtless not every lyric is a masterpiece, but how often have we been given between two covers such "monuments of magnificence" as "Sailing to Byzantium," "Leda and the Swan," and "Among School Children" -- not to mention "The Tower," "Meditations in Time of Civil War," "Nineteen Hundred and Nineteen," or "Two Songs from a Play"? "A thing never known again," indeed. I send you...the manuscript of 'The Tower.' Feeling that it was exaggerated in certain directions I continually put off sending it, but I cannot delay any longer. If, when you have received the Manuscript, you think the book too small, or have any fault to find, please delay it for a few months. Yeats went on to explain that he was writing a series of poems for a limited American edition (The Winding Stair, 1929) and that these could be added to The Tower in a year. Seldom has a Nobel Laureate been quite so diffident about his latest work. Although the Cuala Press Michael Robartes and the Dancer (1921) had been included in Later Poems (1922), Macmillan had not published a major new volume of Yeats's poetry since The Wild Swans at Coole (1919). It is thus not surprising that the publisher gave little heed to Yeats's reservations about The Tower and instead put the book into production, with publication on 14 February 1928. The volume quickly sold out, and a second impression was issued in March. In July 1929 Macmillan published a third impression with some corrections. An edition by Macmillan, New York, appeared on 22 May 1928, with a second impression in January 1929. As usual, Yeats treated The Tower as a unique work, not simply a collection of poems. The order of the poems was anything but chronological, either in terms of composition or of the events depicted. For instance, the second poem written and the first published, "All Souls' Night," was placed last. "Meditations in Time of Civil War," describing the violence in Ireland of 1922-23, precedes "Nineteen Hundred and Nineteen." A poem that concludes with the story of Christ, "Two Songs from a Play," is followed by one that describes the union of Leda and Zeus. I want you to design the cover -- design in gold -- and a frontispiece. The book is to be called The Tower, as a number of the poems were written at and about Ballylee Castle. The frontispiece I want is a drawing of the castle, something of the nature of a woodcut. If you consent I will send you a bundle of photographs. It is a most impressive building and what I want is an imaginative impression. Do what you like with cloud and bird, day and night, but leave the great walls as they are. Moore immediately agreed. Yeats sent him some poems and photographs and made the further suggestion that "the Tower should not be too unlike the real object, or rather that it should suggest the real object. I like to think of that building as a permanent symbol of my work plainly visible to the passer-by. As you know, all my art theories depend upon just this -- rooting of mythology in the earth" (LTSM 114). Yeats approved of Moore's design of the Tower reflected in the adjacent stream, telling him, "It is interesting that you should have completed Tower symbolism by surrounding it with water" (LTSM 111). Unfortunately, because of some lost or misdirected correspondence, Moore failed to produce a frontispiece. But when Yeats received a copy of the volume, he wrote Moore from Rapallo on 23 February 1928, "Your cover for The Tower is a most rich, grave and beautiful design, admirably like the place..." (LTSM 123). Yeats's earliest recorded comment on the book as a whole was made in a letter to Lady Gregory on 24 March 1928: "The Tower astonishes me by its bitterness." On 25 April 1928 he told Olivia Shakespear, "Re-reading The Tower I was astonished at its bitterness, and long to live out of Ireland that I may find some new vintage. Yet that bitterness gave the book its power and it is the best book I have written." Although there was the odd dissenting voice, by and large the reviewers were in accord with Yeats's judgment on his achievement. Writing to Yeats less than two weeks after publication, Lennox Robinson commented that "'The Tower' seems to be getting wonderful notices, the Observer has it as a 'best seller'....and the Independent this morning is extraordinarily intelligent." Yeats himself told Lady Gregory on 1 April 1928 that "Tower is receiving great favour. Perhaps the reviewers know that I am so ill that I can be commended without future inconvenience....Even the Catholic Press is enthusiastic" (L 740). Likewise, he wrote Olivia Shakespear on 25 April 1928, "The Tower is a great success, two thousand copies in the first month, much the largest sale I have ever had..." (L 742). 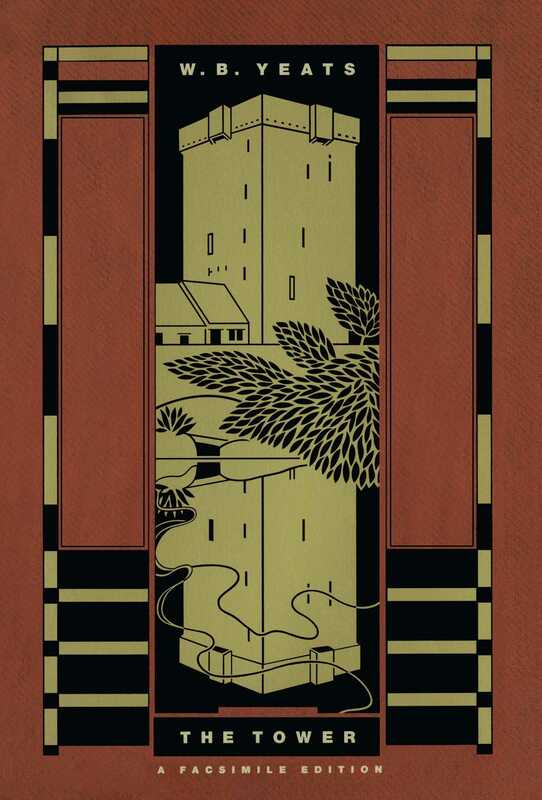 In an unsigned review in The Times Literary Supplement for 1 March 1928, for example, Austin Clarke found in The Tower "a freedom of the poetic elements, an imaginative and prosodic beauty that brings one the pure and impersonal joy of art"; he also praised "the delightful cover design of this book." Writing in The Criterion for September 1928, John Gould Fletcher offered The Tower as evidence that Yeats "corresponds, or will correspond, when the true literary history of our epoch is written, to what we moderns mean by a great poet." In The New Republic for 10 October 1928 Theodore Spencer noted that "on the whole, the poems in this book are among the finest Mr. Yeats has written" and that "many...will remain a permanent part of English poetry." In sum, the consensus of both the reviewers and most later critics and readers of Yeats's poetry is well represented by Virginia Woolf's judgment in an unsigned review in The Nation &amp; Athenaeum for 21 April 1928: "Mr. Yeats has never written more exactly and more passionately." Most other poets would have been more than content with such acclaim, and the story of The Tower would have ended. But Yeats as usual was not content, and over the next five years he would make significant changes to the volume, so much so that readers who know The Tower only from its final version will find this facsimile edition more than a little surprising. Whatever is begotten born and dies. Yeats's next opportunity to revise The Tower occurred in connection with the volume of Poems in the Edition de Luxe, a project that in the event would never see the light of day. 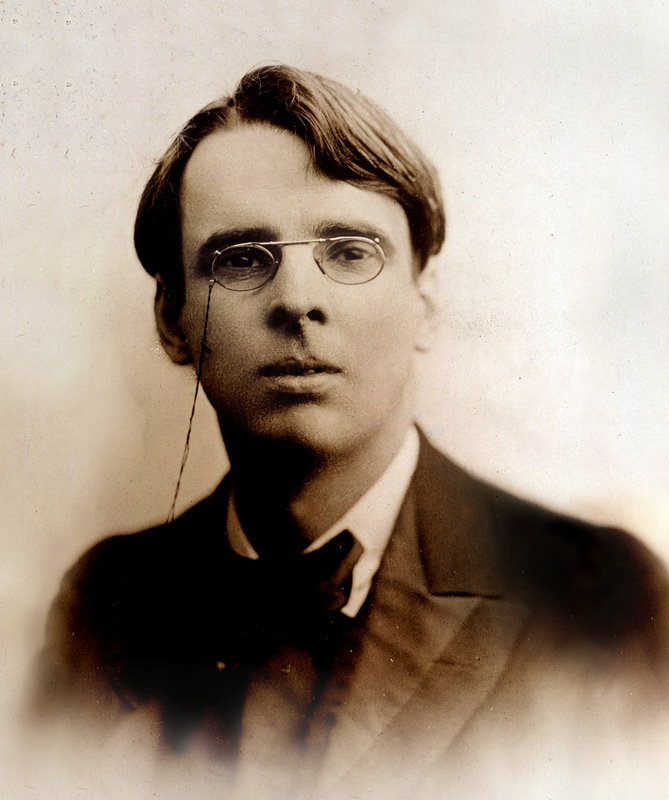 Either when he submitted copy on 1 June 1931 or when he corrected two sets of proofs from June through September 1932, Yeats made only one change of note, but it is an important one: "From 'Oedipus at Colonus'" was removed from its placement after "The Three Monuments" and was now included as section XI of "A Man Young and Old." As the new conclusion to the sequence, the choral ode, with its celebration of "the silent kiss that ends short life or long" and its invocation of "a gay goodnight," ameliorates, or at least puts into a changed perspective, the "bitterness" of the original ending, in which the speaker lamented that "Being all alone I'd nurse a stone / And sing it lullaby." Yeats situated "Fragments" in a rather important position, between "Two Songs from a Play" and "Leda and the Swan," displacing "Wisdom" to follow "Colonus' Praise." He made two other major changes to The Tower: he added to "Two Songs from a Play" a fourth stanza, first published in Stories of Michael Robartes and His Friends (1932); and he deleted the first seventeen lines of "The Hero, the Girl, and the Fool," printing the final ten lines as "The Fool by the Roadside," the form used in A Vision (1925). Yeats had one more opportunity to revise The Tower, in June 1937 when he submitted copy for another never-to-be-published project, the Scribner Edition; but for once he restrained himself. Thus from 1933 onward, The Tower was understood to be the form included in the Collected Poems. It is a fundamentally different volume from that first published. This present edition allows readers access to the original version, with unadorned texts and only the handful of Notes provided by Yeats. Perhaps it will also enable us to imagine how someone opening the pages of The Tower for the first time on Valentine's Day in 1928 would have received the masterful poems therein. Copyright © 2004 by Simon &amp; Schuster, Inc.